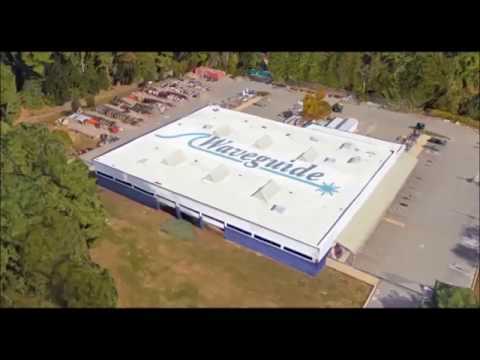 Senior Wireless Technician, Nashua NH - Waveguide, Inc. The Senior Wireless Technician will be responsible for providing installation, testing, and network troubleshooting services on both existing cellular networks and turn-key wireless network builds for our customers and the wireless carriers they represent. The candidate must have a minimum of 5 years of experience working in the RF industry on Small Cell and oDAS / iDAS networks. Work with project managers to meet specific customer oDAS and Small Cell build requirements. Responsible for installation quality and completion of testing requirements ensuring successful deployments that meet time and budget requirements. Establish action to deal with delays due to weather emergencies or logistics. Confer with PM, on site personnel, contractors and customer to resolve quality concerns, complaints or time line challenges. Manage Daily Jobs and project goals to its efficient completion. Responsible for all required final documentation as requested by PM. Review the status of each job/project and in conjunction with the Program Manager, implement changes as necessary to ensure timely project completion. May attend customer meetings to provide customer with comprehensive job status reports and resolve any conflicts or issues that arise. Assist in comprehensive RF testing and documentation process. Train technical personnel and manage them to the process. Assist in growing technical workforce to support the installation and maintenance of Wireless networks. Ensure customers’ overall satisfaction with Waveguide’s work product. ; build strong customer relationships and leverage them to secure additional work. Ability to efficiently and effectively work in a fast-changing environment with multiple objectives. 5+ years of wireless field experience with strong knowledge of RF Frequency Bands. Strong installation and troubleshooting Skills. Relevant Technical Degree or related technical certifications in Telecommunications, EE, Engineering Technology, RF, Construction Management; Trade school or Military electronic specialized schools. BICSI certification is a plus. Requires the ability to sit for extended periods, stand, bend, walk, communicate via telephone, computer and/or face-to-face contact, vision to monitor, and use basic office equipment such as a personal computer, copier and fax machines regularly during the course of work. Will be required to operate vehicle for Company business therefore must possess and continue to possess a valid drivers license. Work is performed in and out of an office environment. Physically able to carry 50lbs. Able to work outdoors, and/or in a bucket truck. Work is also performed in all sorts of environments and weather so therefore must be able to work outside in all types of climates. NOTE: This job description is not intended to be all-inclusive. Employee may perform other related duties as negotiated to meet the ongoing needs of the organization. Waveguide is an Equal Opportunity/Affirmative Action Employer promoting diversity in the workplace. Waveguide Inc is a design build turn-key fiber optic construction company based in Nashua NH but has regular work throughout New England. We are growing exponentially and are looking for smart can-do people who would like to grow with us and be a part of our expanding team!